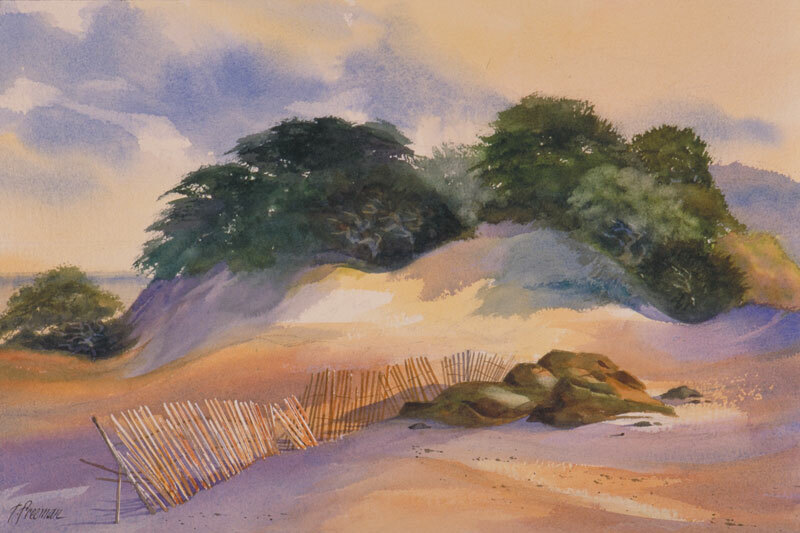 Thomas Freeman Original Watercolor Painting: "Blowing Sand"
This was inspired by my many hikes amidst the dunes in Michigan and Indiana. Drift fences are common throughout to try to keep the sand in check. In the painting, I first masked off the fence area so I could use nice, broad washes and get soft, smooth edges on the sand. Then I went back and did the detailed work on the fence.